Health Monitoring Is Being Disintermediated In The Connected Age. With The Help Of Mobile Devices And Connected Peripherals, Patients Are Gaining Greater Access To Information About Their Own Health. These Products/Services Aren't Replacing Doctors; Rather, They're Enhancing The Time Patients Spend With Them. Quantifying lifestyles not only enables greater self-awareness and leads to behavior modification, but also provides raw data for physicians to make more informed decisions. 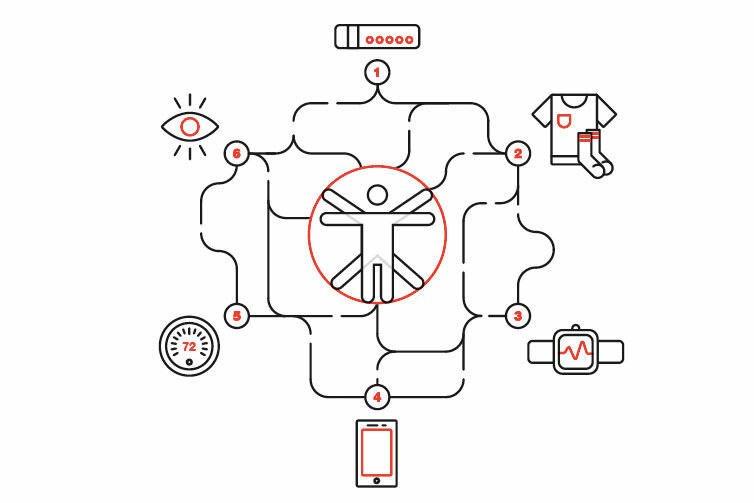 Sensor-laden clothing can unobtrusively track users during all types of specialised activities—sharing the data with coaches, parents, or health professionals. Smart watches are becoming not only more ubiquitous, but more sophisticated—adding new sensors and computing capabilities that connect users to medical research studies. High-res images can be processed by algorithms to identify issues, while live video allows face-to-face communication between patients and distant doctors. Smartphone peripherals and smart household products provide remote monitoring and diagnostic services, keeping family members and healthcare providers in the loop. Advanced technology—small enough to fit on a contact lens or be implanted under the skin—can continually monitor conditions and, in some instances, even dispense drugs.